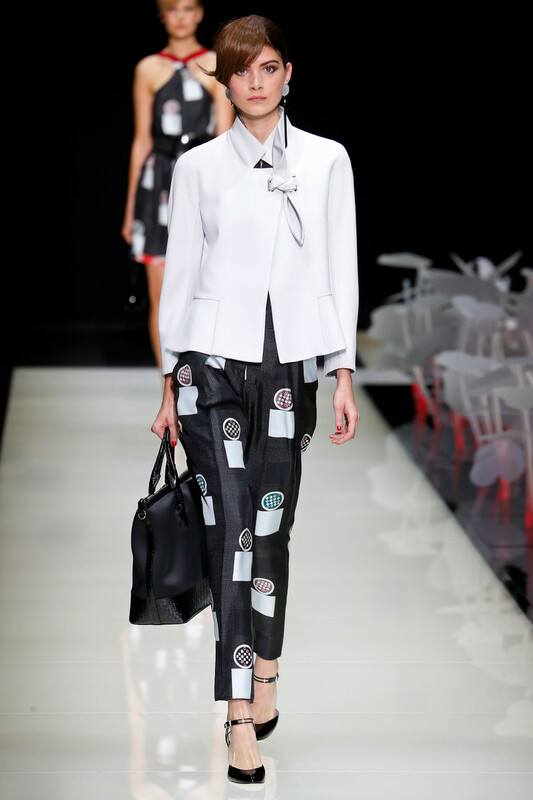 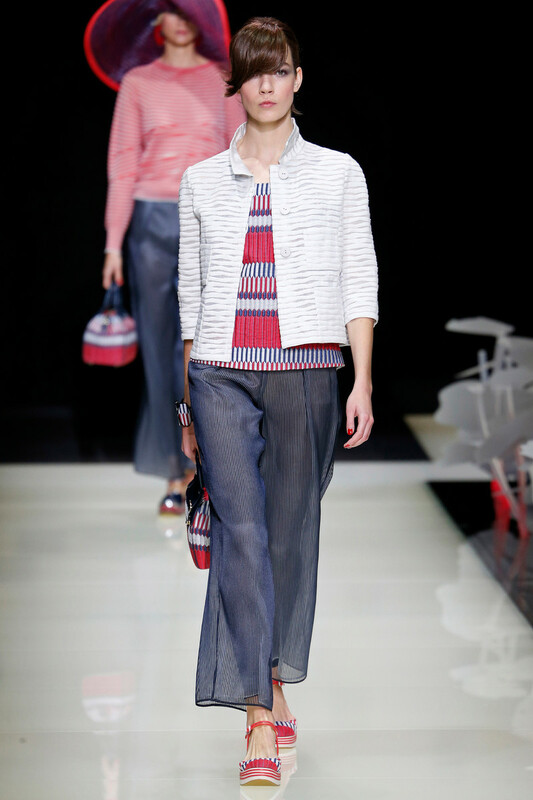 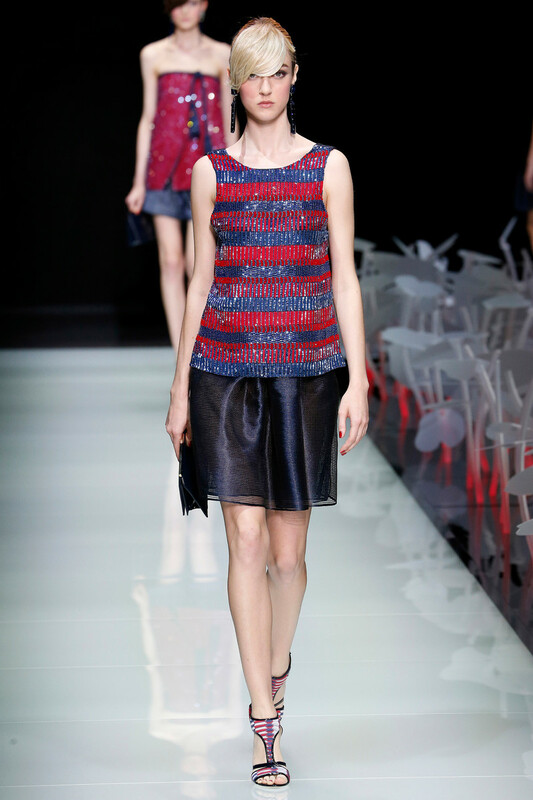 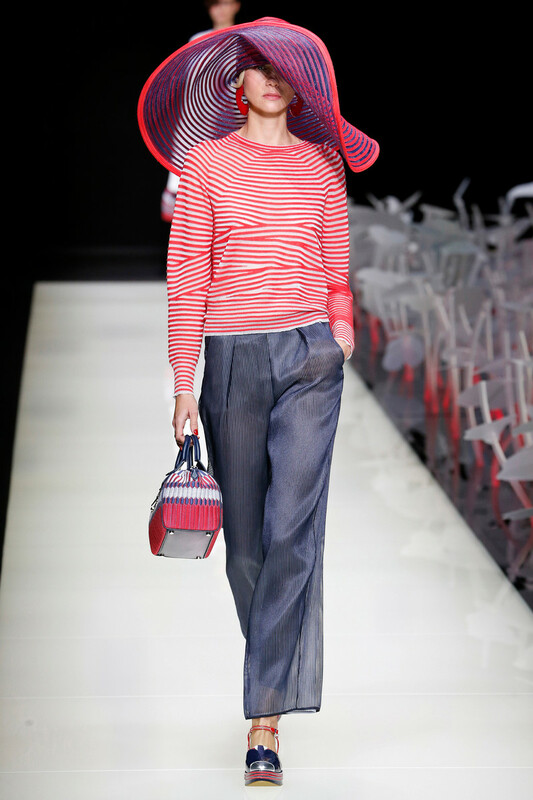 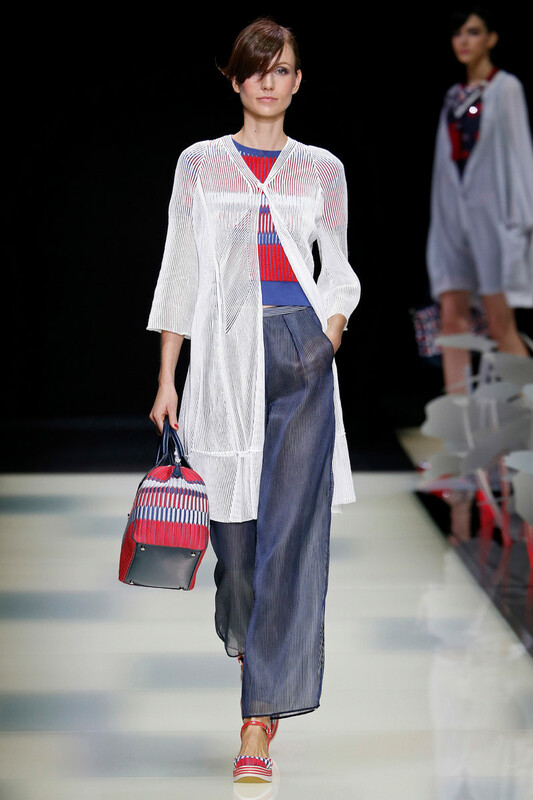 Famous for his self-titled shade of ‘greige’ Giorgio Armani presented us with a rather colourful collection for coming summer. 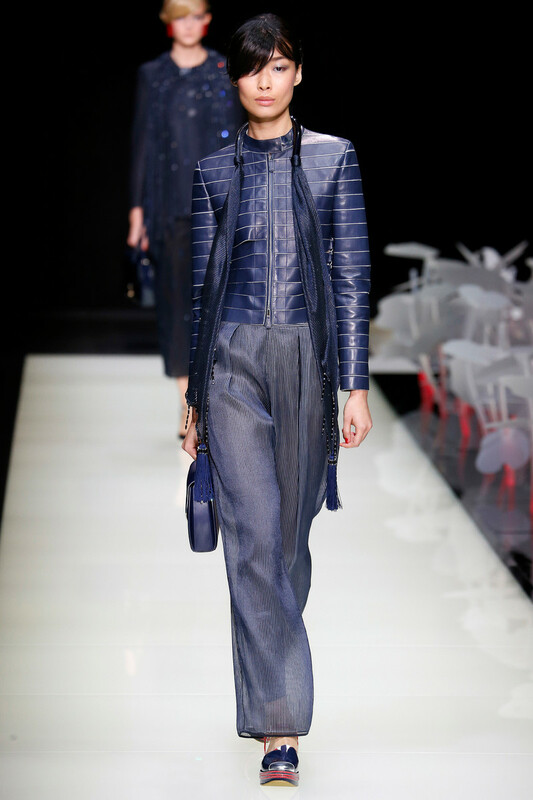 Navy and icy greige were given feminine touches of flame, lacquer, and geranium. 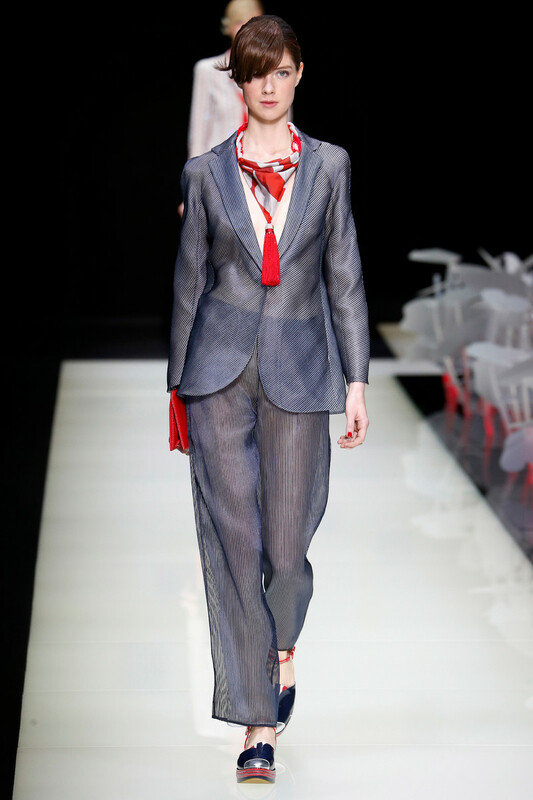 Proof that it’s never too late (Armani has been celebrating it’s 40th anniversary) to shake things up a bit. 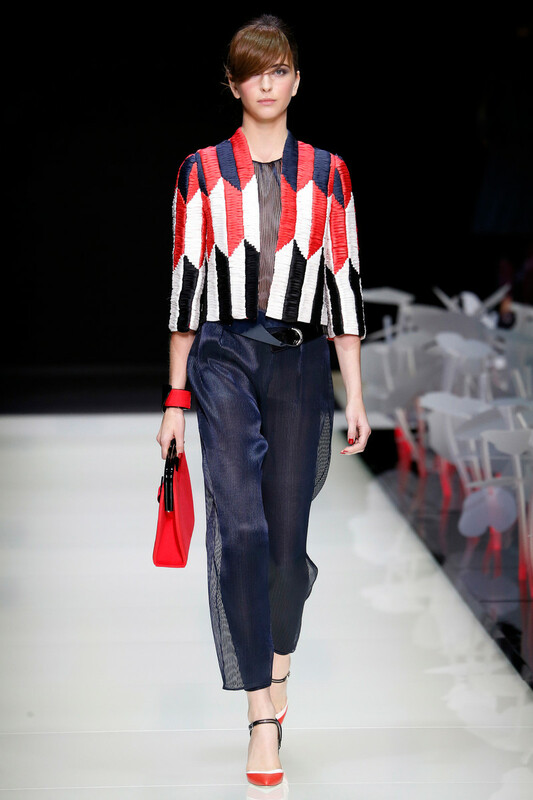 The overall feel of the collection wasn’t necessarily different, but all creations did have an uncommon sense of lightness. 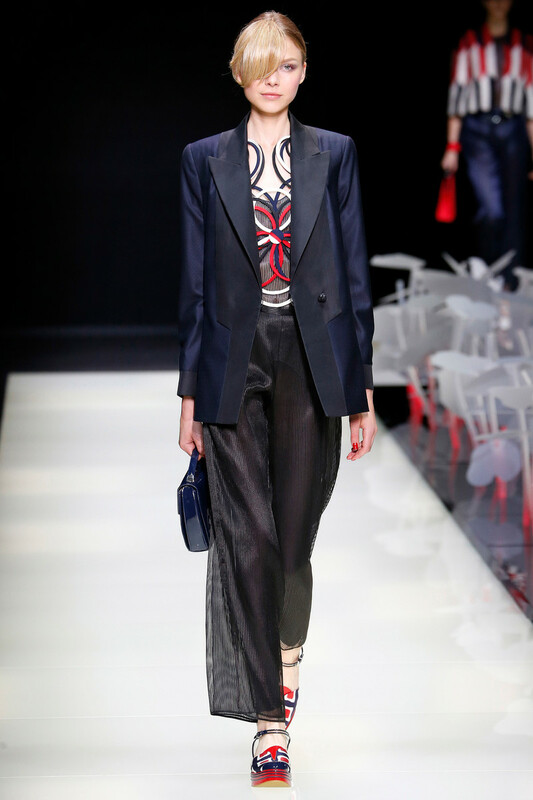 One that made sassy cocktail looks (in the form of high waisted shorts, sheer tops and embroidered tailored jackets or see through billowy skirts and macramé tops) appear even more elegant. 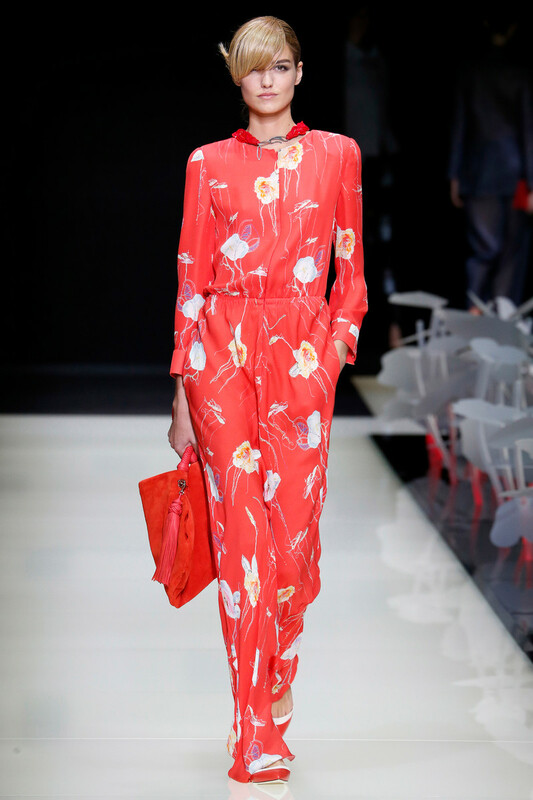 Fresh felt a floral printed red jumpsuit in contrast to some of the more classic Armani ensembles of long wide legged pants and red/white striped tops. 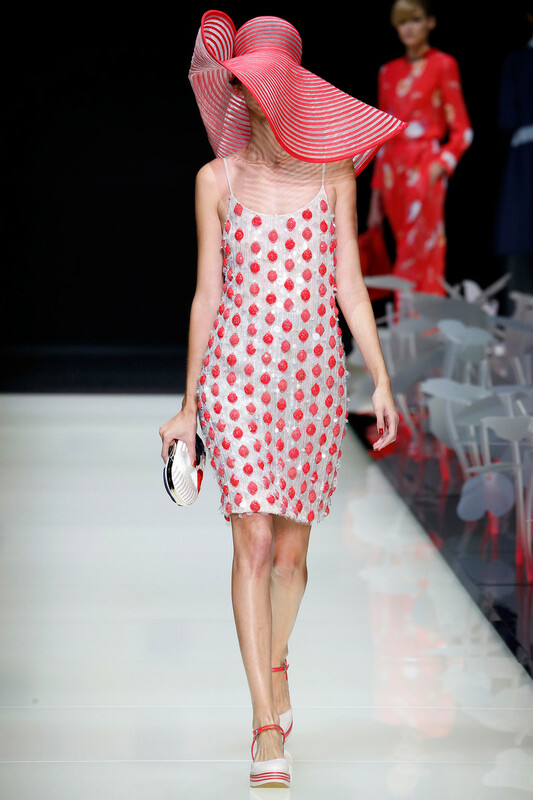 Models may have been fully dressed, airy materials turned their clothing into the chicest fashion pieces. 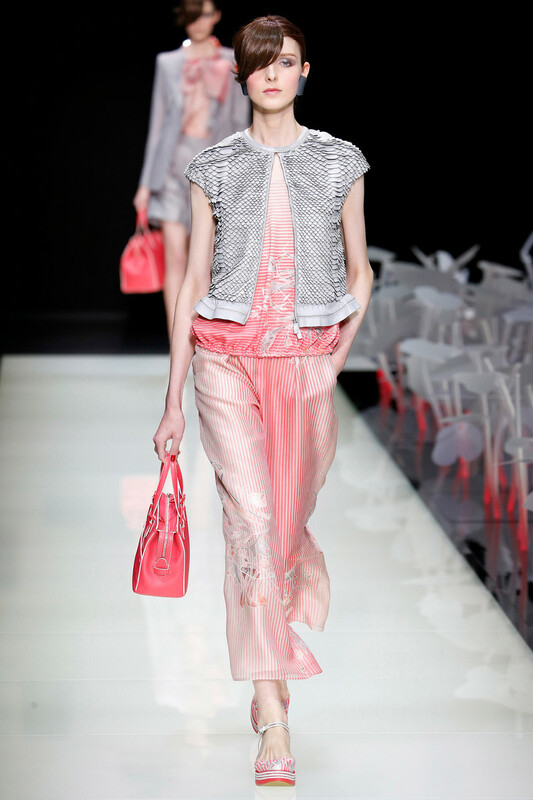 While transparency might turn out cheap or trashy in the hands of other designers, maestro Armani made his weightless designs highly desirable. 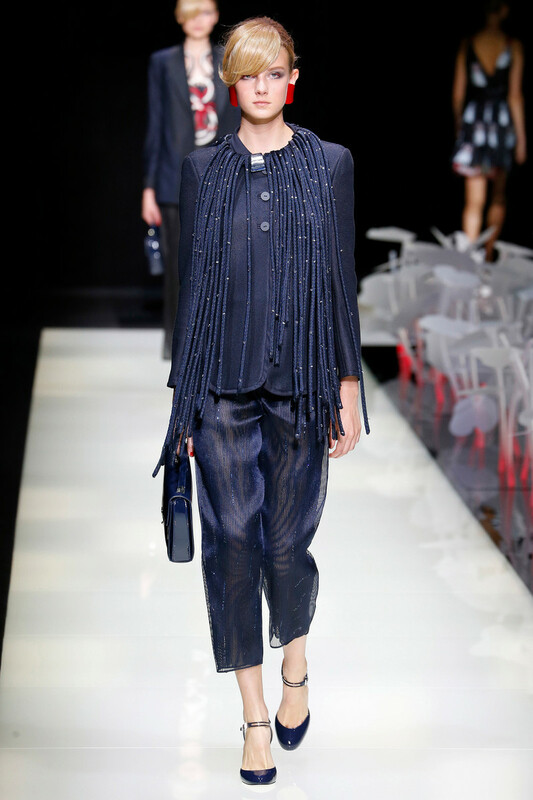 Whether office bound or off to a fancy party Armani’s weightless spring summer attire will make sure you’ll float off to any occasion.